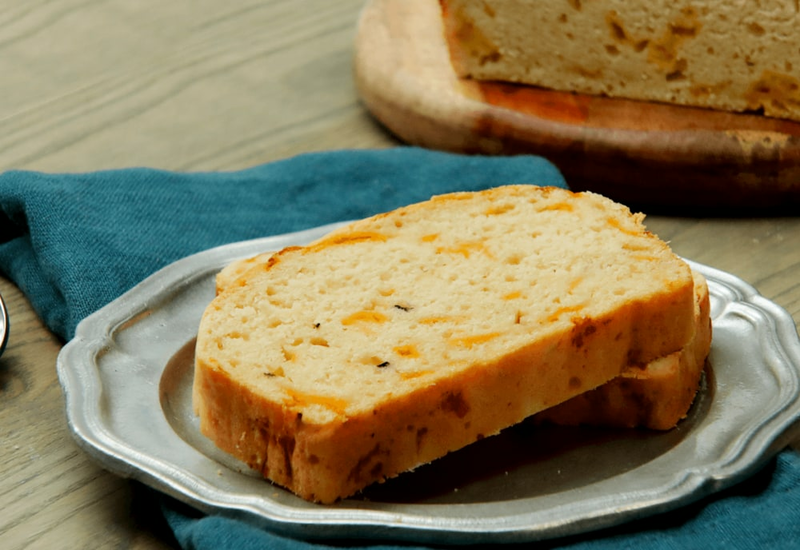 If you love the idea of making bread at home, but don't have time for the long kneading and rising process that's needed for many loaves, this beer bread is about to be your new favorite recipe! Using beer in the dough speeds along the leavening process, meaning there's no kneading and no long rising time. Simply mix the ingredients together in a bowl, pour into a loaf pan and you'll have fresh, toasty homemade bread in just over an hour. In the recipe, we mixed in chopped jalapeño and grated cheddar cheese for a delicious Southwestern take and cheesy kick. Don't be afraid to mix it up! Try adding 3 tablespoons each chopped walnuts and dried cranberries to the batter for a different take on this beer bread. Alternatively, mix in 2 tablespoons chopped green onions or chives and 3 tablespoons crumbled goat cheese. Per Serving: 376 calories; 10g fat; 59.4g carbohydrates; 9g protein; 7mg cholesterol; 646mg sodium. So quick and easy! Delicious with chili. Beer in bread, where's the yeast? I was surprised that this recipe worked so well. I made it a second time with a lot more jalapenos and even more cheddar. This may well be a staple and my family's future thanksgiving meals! Beer and bread? Two of my favorite things. This bread is amazing, I can't get enough. Of course I had to use the jalapeño and cheddar! Definitely going to make this again very soon. I've not much of a baker, but this recipe was really simple. I was wondering how you could make bread from beer, but hello captain obvious, it's the brew. Such a great idea, and now one of my favorite recipes to make. The hubby loves it. Quick and tasty! I added a little sugar in place of honey because that's the only sweetener I had. I also added sharp cheddar, and it turned out perfect.